Every year at this time we pause for a few minutes (ok – longer than that!) 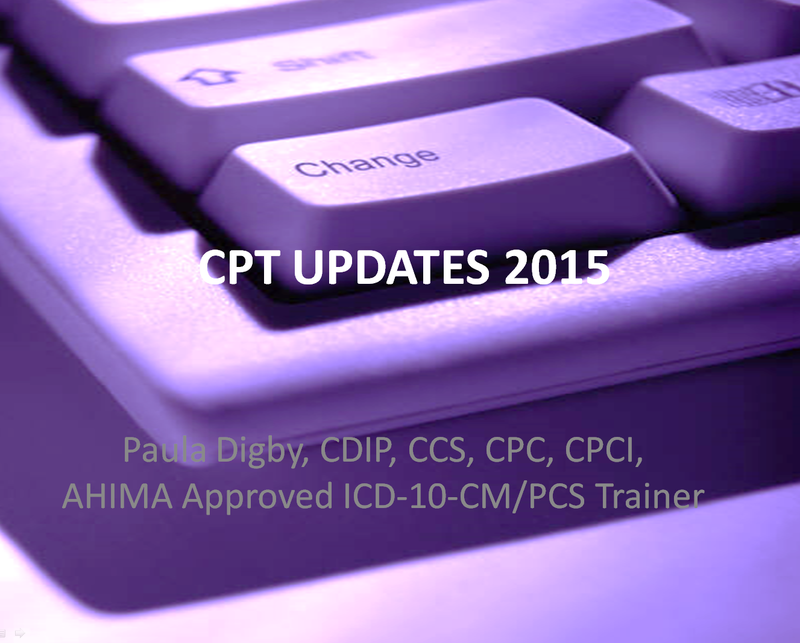 to review the changes to CPT© for the next calendar year. It’s time now to delve into those details and prepare for 2015. In this session Paula Digby will describe the pertinent updates and explain how to appropriately capture services during calendar year 2015. This session lasts 89 minutes.